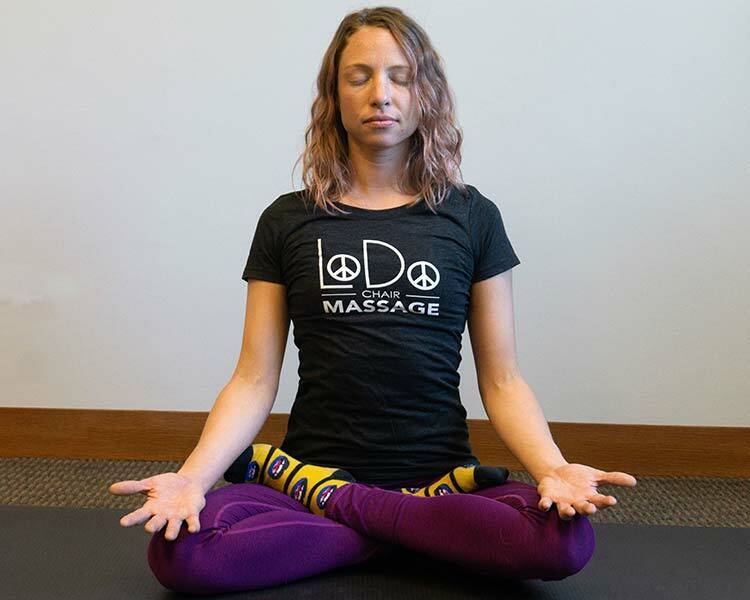 LoDo Chair Massage and Yoga offers Corporate Yoga Classes in two different formats, depending on your needs. Both options are offered at a flat rate of $100, which includes a top-notch, certified corporate yoga instructor, as well as travel within the greater metro area of your city. Both versions of our workplace yoga classes offer these benefits, plus the added bonus of developing strength, flexibility, and better posture. Your workforce will leave this experience feeling relaxed, rejuvenated, and ready to get back to work!